Natural Selection Is Not Evolution! 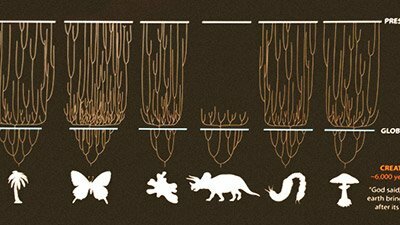 The supposed vehicles of evolution are mutations, natural selection, and other mechanisms that—when combined with that pixie dust of time—allegedly led to the development of all life forms present today. However, natural selection merely redistributes or reduces preexisting genetic information, and mutations often corrupt the information. The creationist view of natural selection is supported biblically and scientifically. Natural selection is a God-ordained process that allows organisms to survive. It is an observable reality that occurs in the present and takes advantage of the variations within the kinds and works to preserve the genetic viability of the kinds. 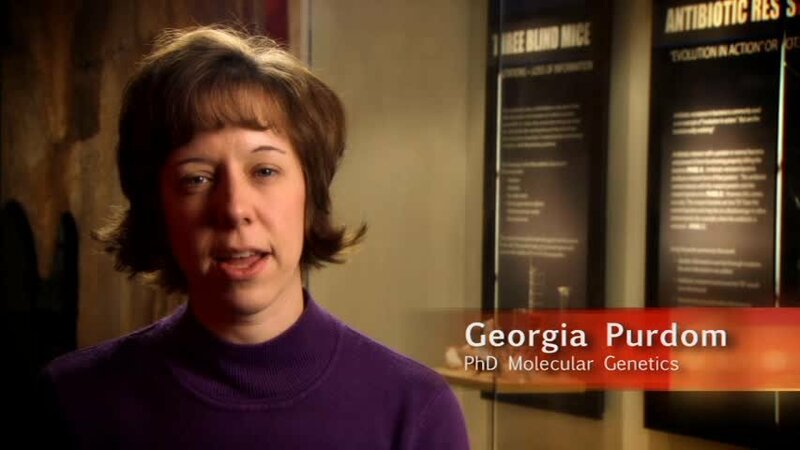 Natural selection cannot generate brand new genetic information. It simply doesn’t work that way. Instead, it filters information that already exists. The general theory of evolution is the idea that single-celled organisms gained new genetic information over millions and billions of years, and eventually arrived at “higher life-forms” such as man. If living things such as plants have been observed to adapt to their environment—isn’t that evolution? Adaptation of plants does not prove evolution. 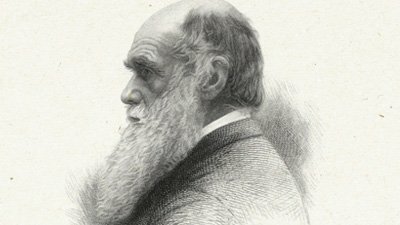 Does Natural Selection Prove Evolution? 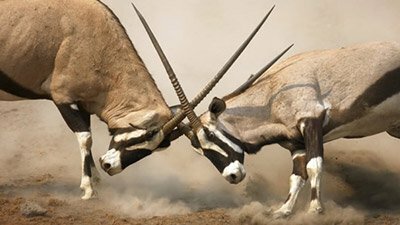 Distinguishing natural selection from Darwinian evolution (the latter combines natural selection with the idea that all life has an ancestor in common) is one of the primary challenges modern creationists face in the origins debate. Experimental confirmation of natural selection is interpreted as proof of Darwin’s theory. Living things, like plants, finches and lizards, have been observed to adapt to their environment—isn’t that evolution? 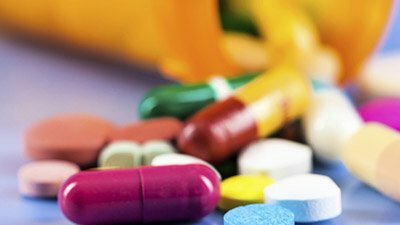 Antibiotic resistance in bacteria is often touted as proof of evolution, but is it really? After all, the bacterium remains a bacterium! 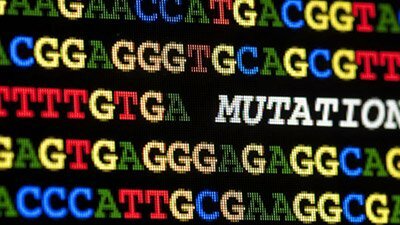 Are mutations—copying errors in DNA—the driving force for biological evolution? Or do they represent the sad reality of a sin-cursed world? Speciation, the formation of new species, is not evolution in action. Rather, it demonstrates the incredible variety God put within each created kind. Survival of the fittest is not evolution. It is a fact of life in a world that has been tainted with death and bloodshed since Adam rebelled against his Maker. Evolutionists often refer to natural selection as equivalent to biological evolution. Is this claim warranted by the observation evidence? My paper was criticizing what Guliuzza has publicly written in which he denies the reality of natural selection: a claim that he has never publicly retracted. This brief examination of Jason Lisle’s paper highlights that misunderstanding about natural selection is more prevalent among creationists than he suggests. Randy Guliuzza has made some controversial claims regarding the cause and nature of adaptation of organisms to their environment. We examine his claims. 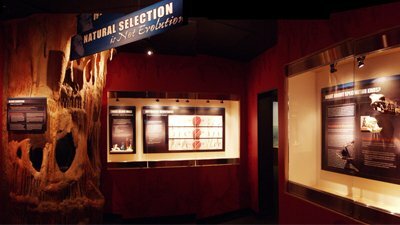 Some biblical creationists have fallen into the evolutionists’ trap and tried to refute evolution by throwing out the concept of natural selection entirely. Is Natural Selection at Odds with Creation? The claim that biblical creationists reject natural selection is based on an outdated notion. The young-earth creationist view has been so maligned in popular culture that many people think creationists deny basic facts of life. Are Humans Driving Rapid Lizard Evolution? Reports proclaim human actions, in this case the building of a hydro-electric dam, are “messing with evolution” because of changes in a species of gecko. Darwin reasoned that if animals can be selectively bred by man to produce certain traits, then nature can select for limitless traits by natural selection. 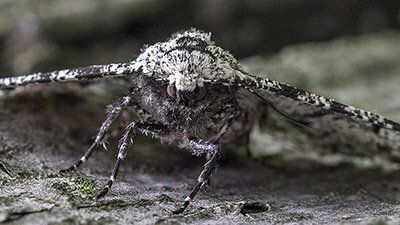 Scientists from Northwestern University have developed a mathematical model that may help explain animal ornamental mysteries. Natural selection does not lead to continual improvement (evolution); it only helps to maintain features that organisms already have (creation). There are obviously all kinds of “change through time” that are not evolution, so evolution must be only a particular kind of change through time. 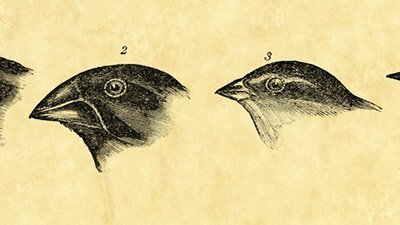 When Charles Darwin studied finches from the Galápagos Islands, he attributed their variations to natural selection. Is there any truth to his claims? The Evolution of . . . Chocolate? 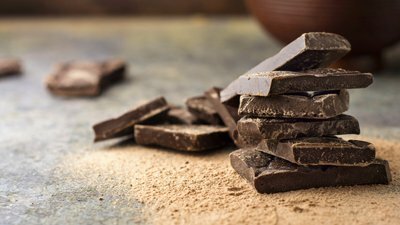 Based on their evolutionary beliefs, secular researchers believe ancient diversification of the cocoa plant resulted in delicious varieties within the species. Natural selection is controversial among many scientists, both in evolutionary and creationary circles. Is Rapid Lizard Adaptation a Template for Deep-Time Evolution? Evolutionists declare stickier toes reveal the path up the evolutionary tree. In this three-part ~35,000-word response, Guliuzza (2014a, b, c) fails to clearly define his terms and/or use them consistently. This third installment is a continuation of my response to a recent critical paper (Jeanson 2013). This paper responds to a 2013 Jeanson paper critical of a series of Acts & Facts articles published by the Institute for Creation Research (ICR). This second installment is a continuation of my response to a recent critical paper (Jeanson 2013) on a series of Acts & Facts articles. Big Bang and Evolution Still a Big Question . 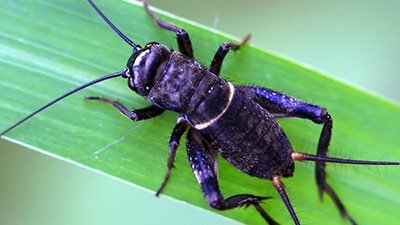 . .
Hawaiian cricket “evolution” into stealth mode saves them from extinction. Reverse Evolution Causes Darwin’s Finches to Go Missing? 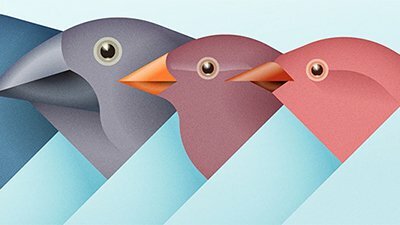 Evolutionary experts assert finches should be “protected” from surviving through hybridization if it leads to un-speciation. What makes cavefish go blind? Now we know (or at least we have evidence for a strong possibility). But it isn’t evolution! How did the modern diversity of life arise from the created kinds of Genesis 1 and from the kinds taken on board the Ark? Did natural selection play a role? 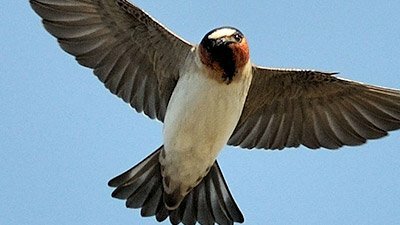 Natural selection does not produce new genetic information that leads to different types of birds. So, how did the zebra get its stripes? Creationists believe in natural selection. Bulletin: salmon evolve at warp speed . . . into salmon! Genesis of the zombies’ curse. So with peacocks—the classic Darwinian example of sexual selection—do the eyes have it or not? Have Australian birds “taken a new evolutionary step”? Or is this another cuckoo example of “evolution” in action? Cane Toad: “Evolution” in Action? Is the cane toad invading Australia the latest example of “evolution” in action? Natural selection, the force driving so-called “survival of the fittest,” is at the heart of both evolutionist and creationist explanations for life’s diversity. But in one strange case, natural selection is not at work on an animal. Scientists have run one of the largest-scale tests of natural selection ever. Does the result do anything to convince us of Darwin’s theory? Could caterpillar communication have come from ambulation? It’s supposedly evolution in action but the evolution is proceeding like a snail creeping downhill. Scientists have built a molecular system that “evolves” in the lab. But like other such systems that have gone before it, this doesn’t prove Darwin. Another example of “evolution in action”—need we even bother examining the reality to confirm this isn’t what Darwin predicted? Natural selection is an observable process that is often purported to be the underlying mechanism of unobservable molecules-to-man evolution. Lizards are busy “evolving” again—is it more proof for Darwinism? Darwin suggested that if a graded series of organisms, each with some sort of eye, can be found then this would mean that the eyes could have been produced by natural selection. Losing or gaining anatomical features, changing colors, growing bigger or smaller—it doesn’t matter how a biological population is changing, it’s evolution! At the beginning He made them male and female—emphasis on the “and”? It’s yet another rock-solid proof of Darwin’s theory—at least in the eyes of Darwinists.